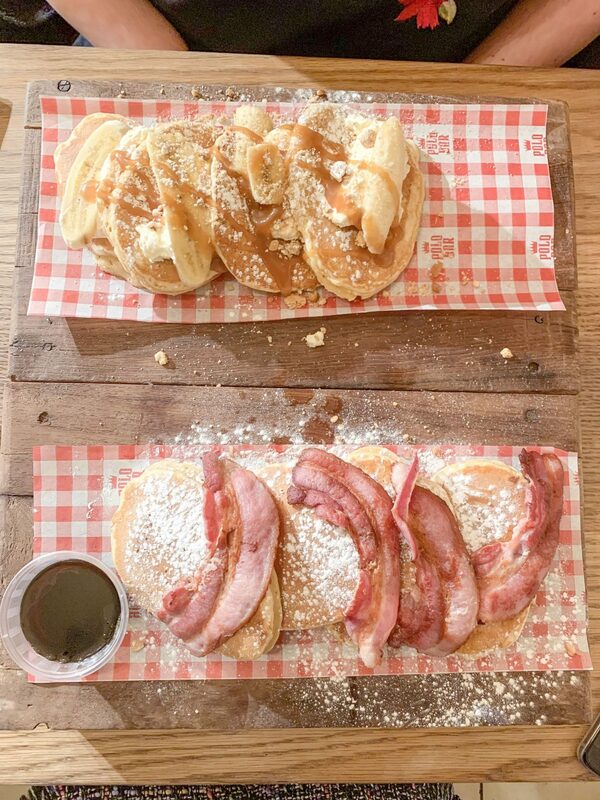 Whether you fancy breakfast, brunch, elevenses, lunch, afternoon snacks, dinner, midnight snack, early morning post-night out binge… Polo Bar is the place to go! 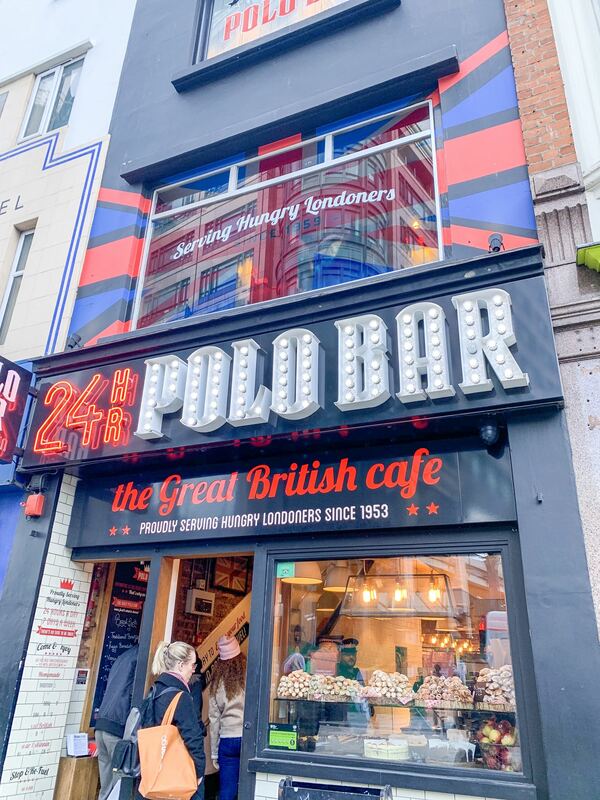 Situated just opposite Liverpool St station, and open 7 days a week, 24-hours a day, the Polo Bar is famous for its none stop service and delicious food – no matter what time of day you visit! The Cafe could easily be overlooked as from the outside it looks really small, but the cafe opens up over 2-floors inside. After a big overhaul in 2014, the Cafe is now super slick and modern, with comfortable booths, tiled cream walls downstairs and exposed indutrial lighting, and upstairs there’s further plush seating with cool-edgy neon signs. The Polo Bar Cafe has a 24-hour alcohol license, so you can share food and drink in comfort no matter what time of day you visit! 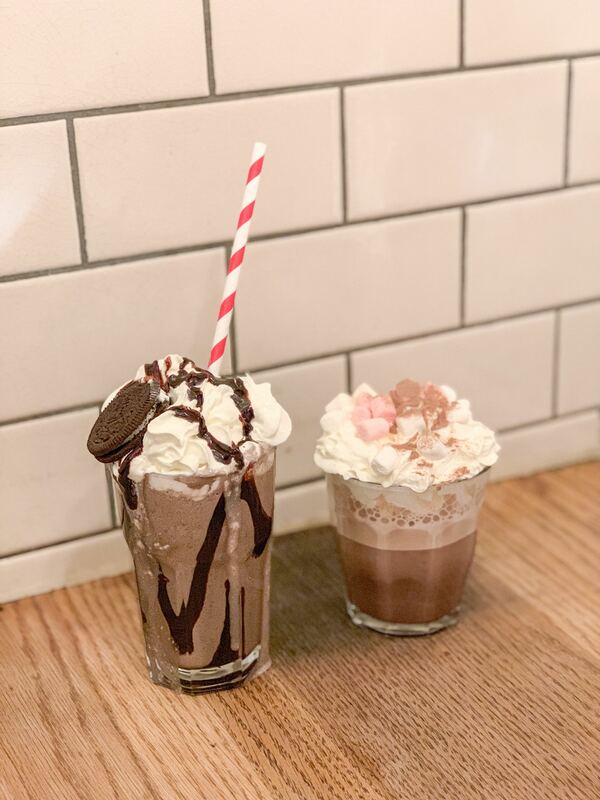 There’s so much choice on the menu here; from all day breakfasts, light bites, sandwiches and burgers to pancakes, desserts and freakshakes, there really is something here for everyone to enjoy. I went one morning back in March with Jade to check out their brunch menu. 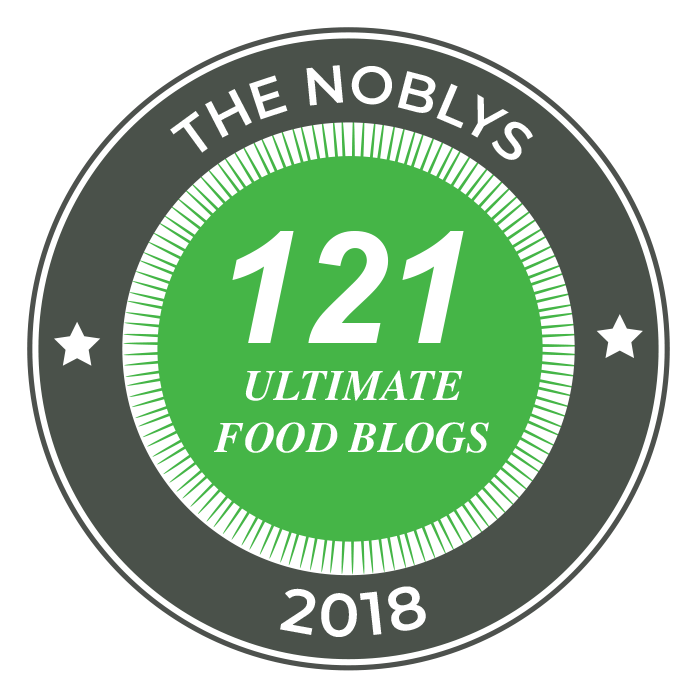 We initially wanted to try out their award winning pancakes (i.e. the red velvet pancake stack with cherry ripple ice cream, glace cherries and vanilla ice cream, topped with a slice of red velvet cake) but we saw a stack of them come out and knew that we couldn’t eat all of that! 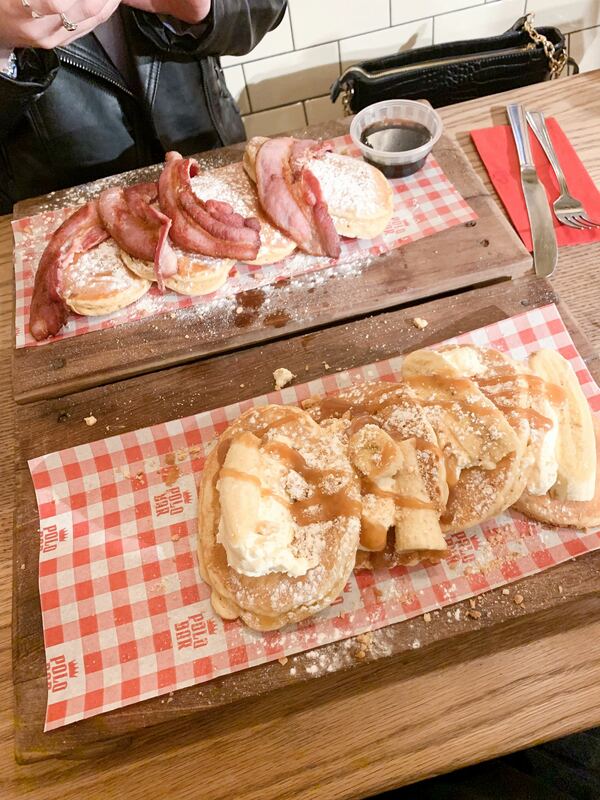 (which was a shame but next time we’ll go on empty stomaches…) so instead, Jade ordered the streaky bacon with Canadian maple syrup pancakes (£9.50) and I went for the Banoffee pancakes with vanilla ice cream, caramel sauce, banana and digestive crumbles (£9.50). I couldn’t decide between the Oreo or banoffee pancakes – but I’m so glad I went for the banoffee ones! The pancakes were nice and fluffy, the caramel sauce super sweet and the digestive crumb added a nice crunch. I didn’t have ice cream served with mine so I think that was missing, but the whipped cream was enough on the plate! The portions were really big and generous, so you could easily share these pancakes between two people. As if our brunch wasn’t sickly enough, Jade had a hot chocolate with cream and marshmallows (£3.60) which was nice and creamy. I had an Oreo shake (£4.70) which was insaaaaaanely chocolately but oh so good! 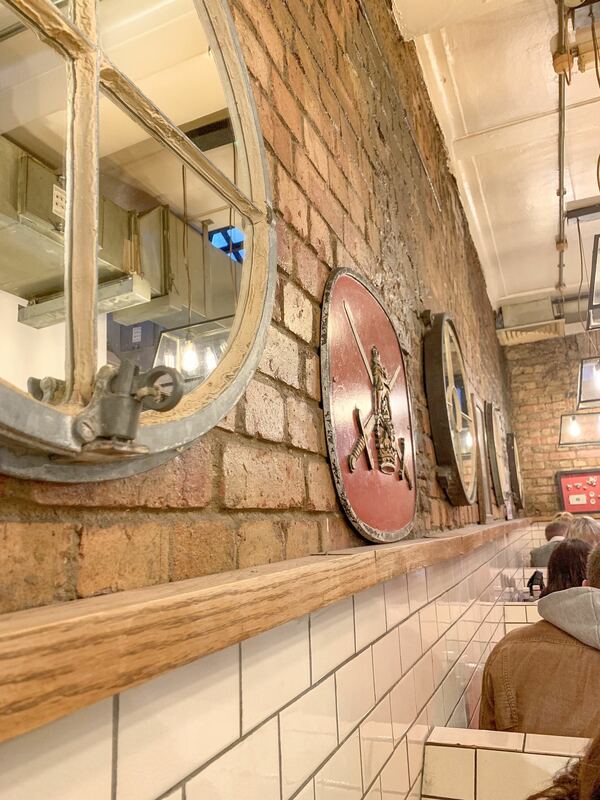 The Polo Bar cafe certainly lives up to its Great British Cafe status with its fun and laid back style – especially as its located in a busy area. 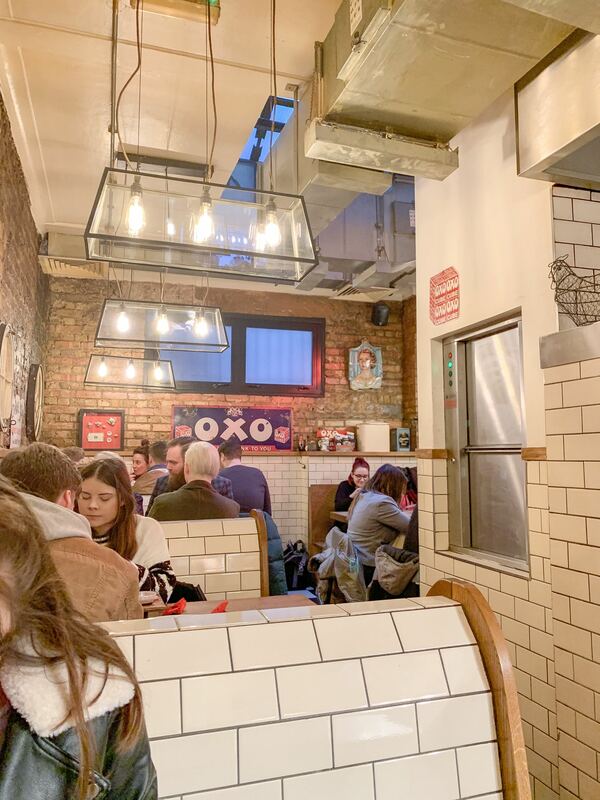 This cafe is a must for anyone who is hungry (or thirsty) in the Liverpool St vicinity, as you really are spoilt for choice here on what to have. 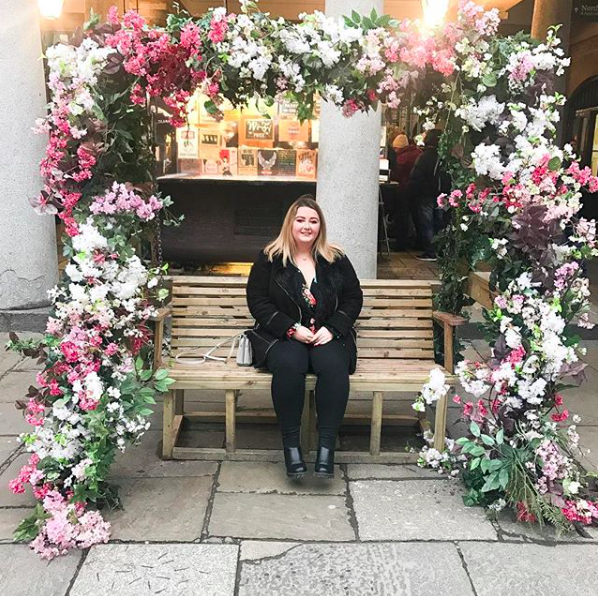 This post isn’t in collaboration or associated with Polo Bar Cafe – I just really enjoyed the brunch there and will happily shout about it! Where’s your favourite restaurant to go for brunch? The pancakes look absolutely delicious – I’ll have to give it a visit! Their signature pancakes sound amazing but if I were you I would’ve gotten those banoffee ones anyway, they look so good!